Last year around this time I shared my New Year's resolutions for 2006 with you. As resolutions go, I kept some and broke some. However, considering my overall income increased by 17% and I managed to take even MORE vacations than usual, I have to conclude that 2006 was a pretty darned fine year. So on to 2007. 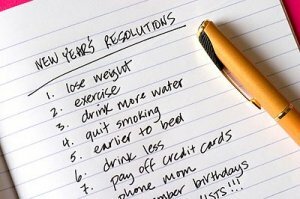 I'm keeping my resolutions pretty basic this year – In a nutshell, I plan to double both the income increase (to at least 34%) as well as the amount of time I take off. How do I plan to accomplish that? Well, basically, by being more productive, increasing the size of my subscriber lists and the amount that I communicate with my visitors and subscribers. Pretty simple, eh? And as I succeed in those ventures, I plan to share the “how-to's” with YOU. So, stay tuned! Keep Your Site Looking Fresh Even if You Don’t Update … for Years!